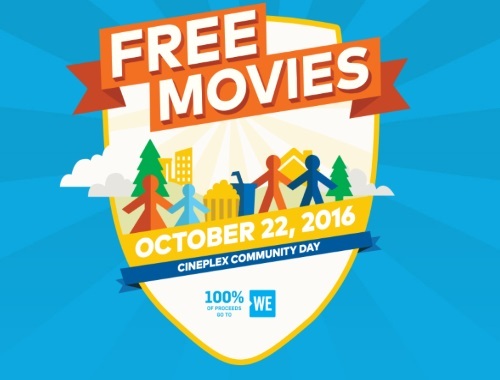 Cineplex Odeon's Community Day is coming up later this month! They will be showing select movies a select times for Free on Saturday, October 22, 2016. The complete list has not been available yet, but based on the banner images you can expect to see: The Jungle Book, Inside Out, Finest Hours, The Good Dinosaur and Zootopia. All proceeds from Community Day goes to the WE charity.